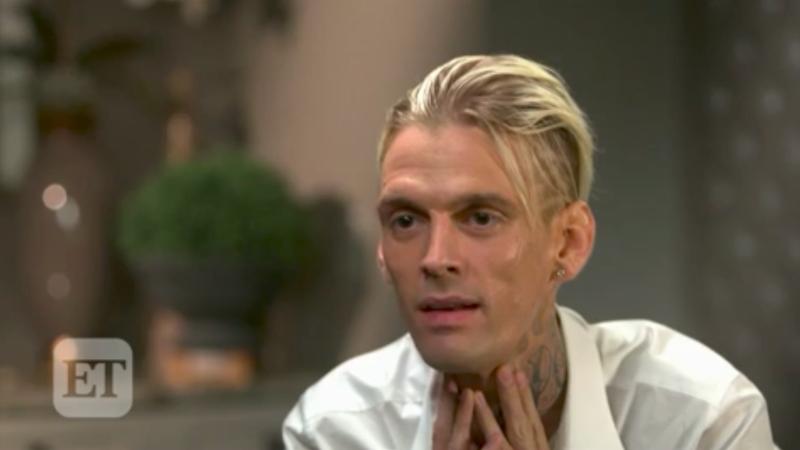 There are a couple peculiarities in Aaron Carter’s self-reported car crash story, though nothing glaringly serious. The relevant tweets, published Tuesday, are below and I expect more details will emerge in the coming days. For starters, Aaron, you don’t have to clarify that you didn’t mean to get in an accident, that’s what “accident”—oh, whatever, at least they’re full English sentences and everyone is ok.
Carter tweeted too that he hurt his arms and legs and broke his nose when the airbags deployed. However, a source told Entertainment Tonight that Carter didn’t break his nose and police drove the singer home cause his car was towed. A rep confirmed that Carter was involved in a “traffic accident” in which “no one was injured.” I suspect the truth lies somewhere in between. A traumatized nostril, perhaps. Aaron Carter rounded out the harrowing experience by taking a nap on purpose. Finally, I initially read this latest tweet of his as “plane” and reflected briefly upon how I might be a better human to my fellow passenger. Amanda Seyfried is fostering a basket of kittens that are trying desperately to scamper out. They’ve been spared the streets and animal control only to be trapped in Seyfried’s basket, which, let’s not kid ourselves, is their new forever home. The Rock is so likable, strong, and good with kids. Somewhere in the world Mark Zuckerberg is stress-strangling a puppy to unwind after watching this adorable video!